Be part of LIFE TODAY and support this outreach! LIFE TODAY is much more than a television program. 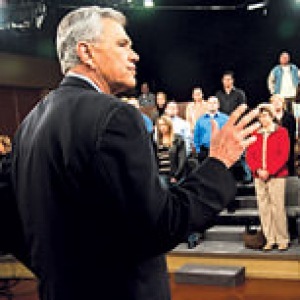 It is a life-giving ministry for people around the world every day, offering encouragement and inspiration to viewers. James and Betty love to read letters that say, "That program today was for me!" Each testimony is a reminder of our awesome responsibility to share God's love and to reach people in their time of need. Together with our friends and partners, we are able to share the message of the Gospel with a lost and hurting world, ministering to people and providing opportunities for viewers to participate in global mission outreaches. When God told James years ago to sit down and stop preaching from the pulpit, he never imagined the future would be filled with so many opportunities to reach lives through this medium. We pray that LIFE TODAY will continue to be an instrument of God's love for those who need His love, a word of encouragement and hope.